So heard about sugar scrubs? Various types of sugar like white, brown and natural cane sugar are all used to make sugar scrubs. Exfoliating the body is very important for the skin to breathe free and sugar scrub is excellent for that. The fact is that most of the brand that makes scrubs uses natural ingredients in them. Sugar is also one of them, therefore if it can be made at home and the effect you get would be the same as that of the one you get from the ready made scrubs. 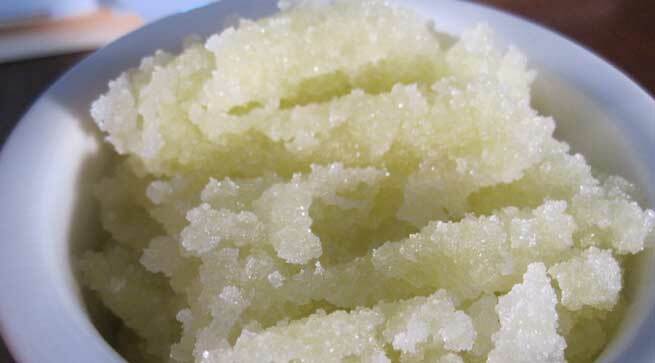 Now coming to our topic of interest, the homemade sugar scrub- Well, sugar in its granule form when worked on skin removes the dirt, grime and dead cells which clog the pores in the skin. The main benefit of using sugar scrub is that the sugar does not have any harsh granules which might harm the skin or could lead to irritation. What are the benefits of using homemade sugar scrub? • Prevents breakouts in the skin– Homemade sugar scrub can keep pimple, acne, whiteheads as well as blackheads away. The skin is abused daily with dirt, oil, pollution and sun which make way for bacteria in the skin that cause acne and pimple in the skin. • It’s cheap and easily available– Unlike the other expensive scrub the homemade sugar scrub can be accessed easily and does not cost you any extra penny. • Delaying aging signs – Homemade sugar scrubs helps in delaying aging signs to appear on skin. • Gives a good moisturizing effect– Homemade sugar scrub has a very good moisturizing effect on the skin, which is very rare in other scrubs. The moisturizing effect also helps in reducing certain symptoms of skin conditions like psoriasis as well as eczema. 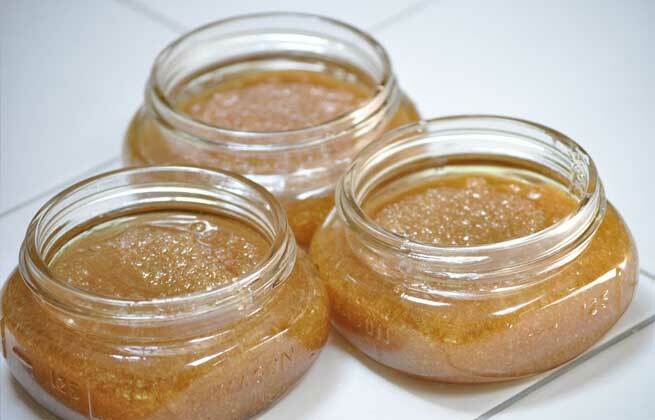 • Tightens the pores of the skin– Homemade sugar scrub tones the pores of the skin. Thus helping to maintain a young and youthful looking skin. • Maintains the natural oil of the skin– Homemade sugar scrubs are mild on the skin and does not wash away the natural oil borne by the skin which helps in maintaining the development of new skin. 1) Sugar 2 parts- brown would be best, if not white would also be just as good. Direction: Mix all these ingredients in a clean bowl and store it in an empty container. You can start using it right away or store it and use it when required. First and foremost, in a bowl mash the ripe banana to that add the granulated sugar as well as the vanilla extract and mix it well. Apply this mixture generously all over your body and massage it and unveil a soft and smooth skin. Another most simple homemade sugar scrub recipe is with lime and sugar. Mix both the ingredients and massage it on the skin until the sugar is dissolved. 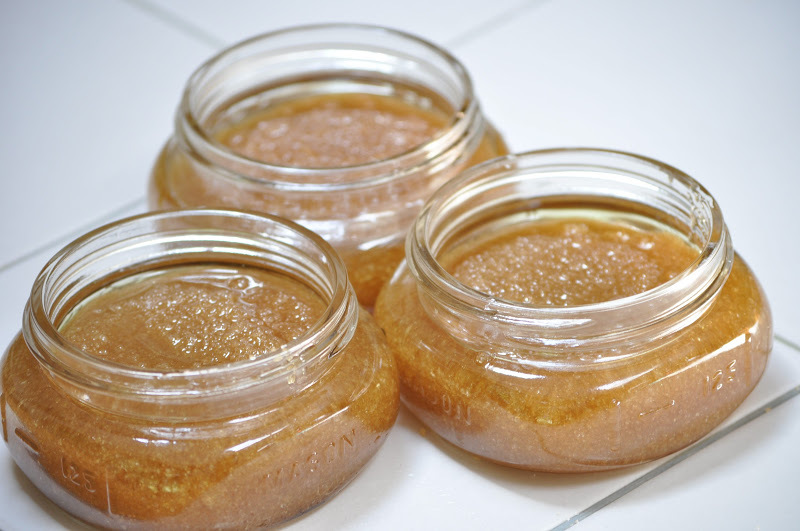 So today we got to know the benefits of using homemade sugar scrub, hope you all will incorporate these simple sugar scrubs in your beauty regime and experience the silky smooth, glowing skin for yourself.